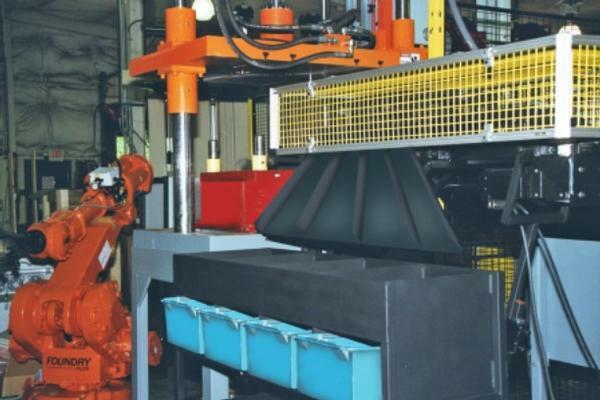 Bachhuber's Press Unloaders make it easy to automate trim press loading and unloading. The patented Auto Disconnect Arm automatically disconnects the tray after the part is caught, allowing it to return to home position. The tray out verification switch signals the robot the tray is clear for loading. The arm automatically reconnects on the press down stroke for part removal. No cell controller or separate control for the unloader is required. 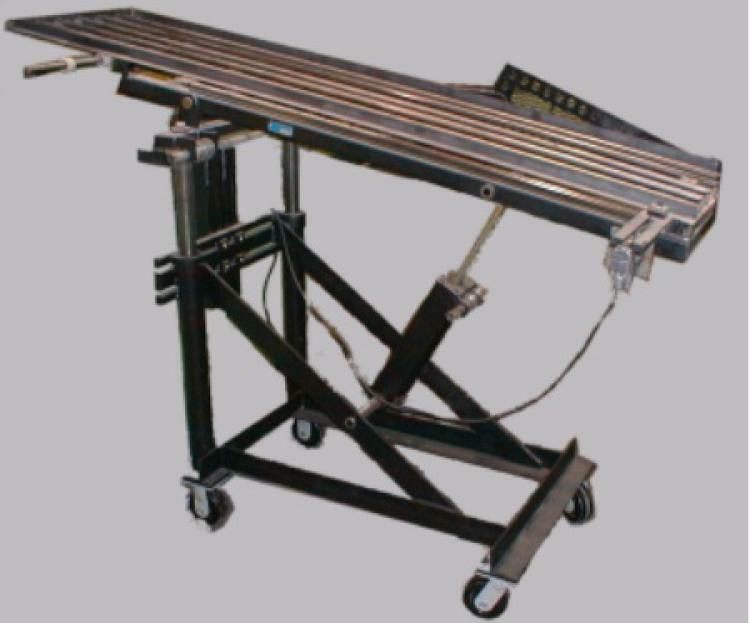 Designed with two linear rails to unload wider & heavier parts and provide greater stability. 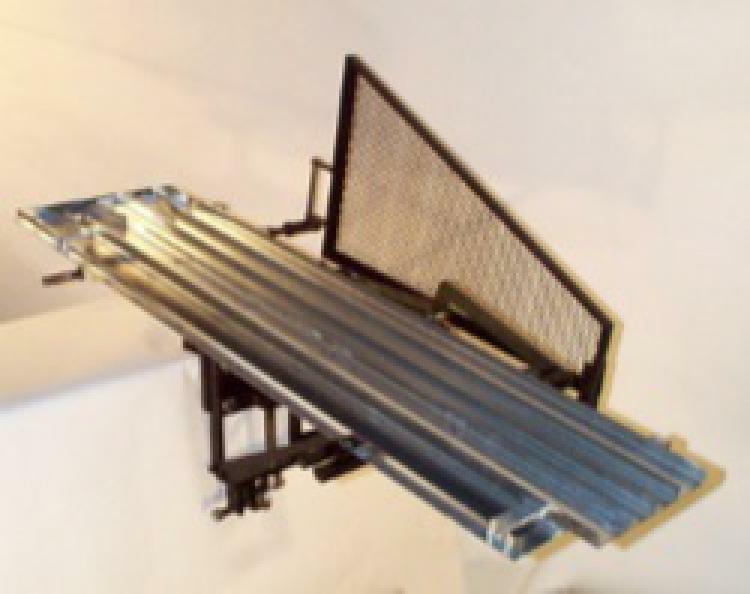 With longer mainframe and linear rails, this is our most popular unloader. 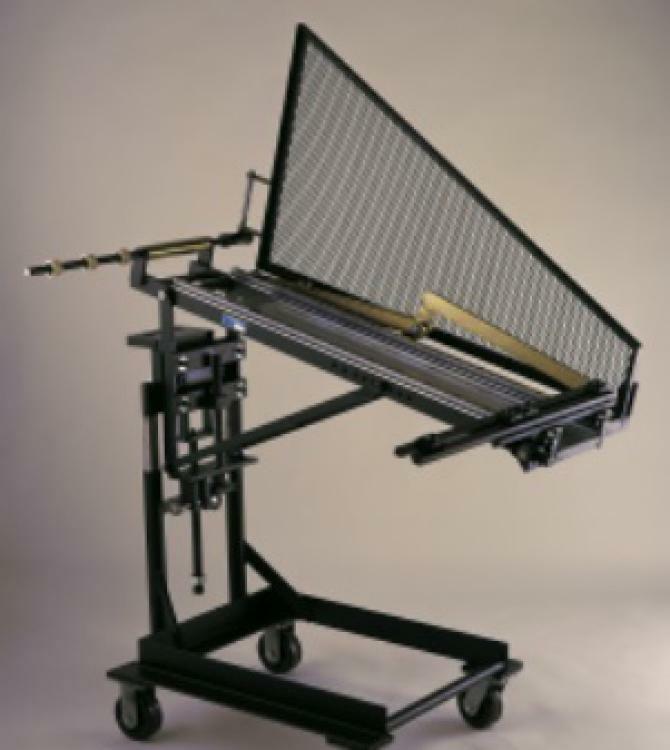 Designed for longer stroke presses and to handle heavier applications. This unloader is our largest stocked unit. 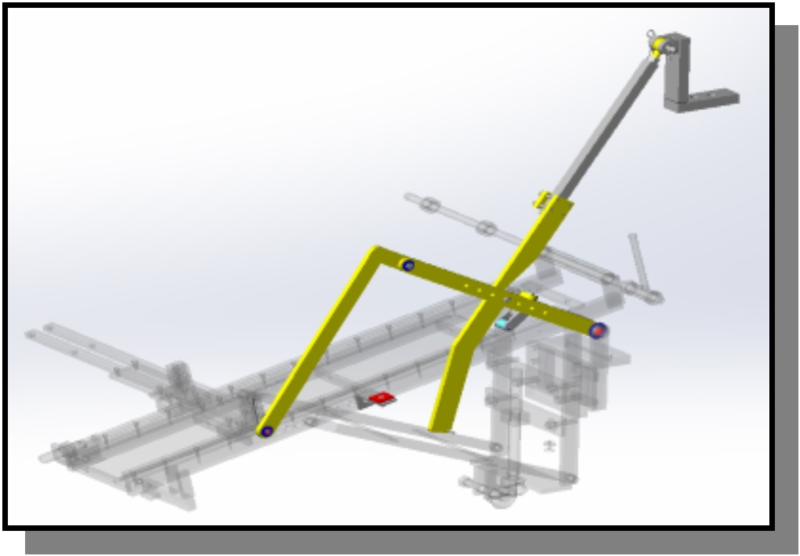 Servo actuated unloaders and vision systems can be implemented for more demanding applications.